We’re sure you wish you could see a “Your packages have reached our vPOST warehouse!” notification the moment you see the shipped confirmation email from you merchant. But the thing is, when merchants place a notice that they have shipped out the parcel, it’s them just starting to ship out to our warehouse. 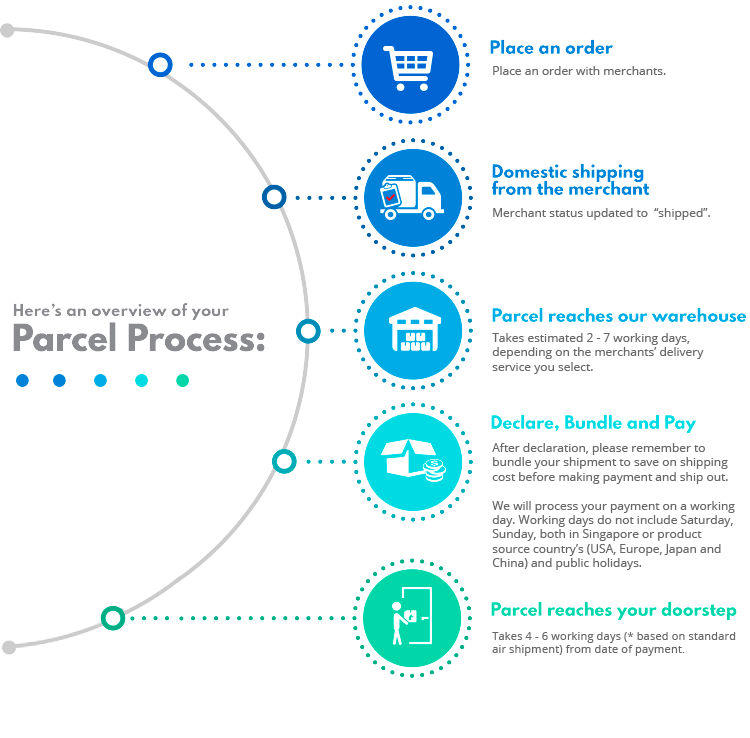 Depending on the shipping method you opt on the merchant site, the domestic shipping to our vPost warehouse may take from 2 to 7 business days. Typically if you have selected “free shipping”, merchants will normally use the most economy shipping method with a longer transit time that may take from 7 to 14 business days. So if you need your package urgently, remember to select express shipping or 2 day shipping. Merchants use different carriers like UPS, USPS or Fedex etc to ship the packages to our warehouses. Within these carriers, they could also use a mixture of carriers. For example, a UPS delivery may end up using USPS as the final delivery provider. So, your package may end up with 2 different tracking numbers. 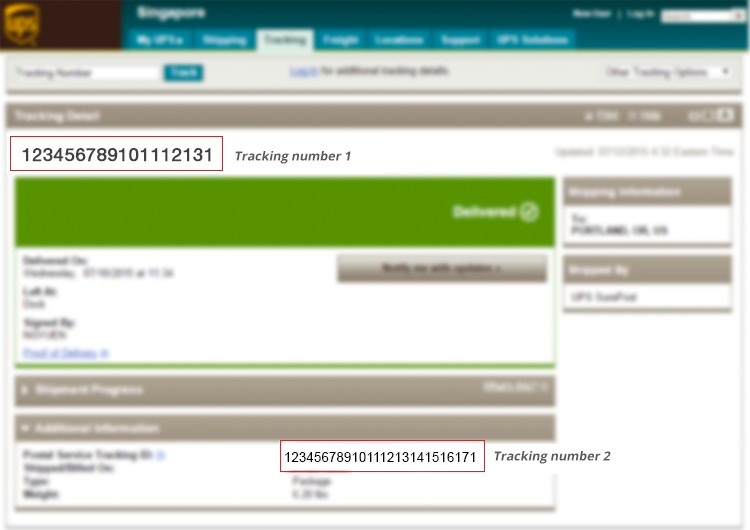 See below example of how to locate your second tracking number. Allow vPost warehouse up to 2 working days to check your packages into your account. At times the merchant may have truncated your VP ID and hence we will not be able to tag the package to your account. You can use the “Find my package” function located in the “My Shopping” page after you login to vPost. Example: If payment was made on a Sunday (in the country of destination), payment will be processed on source country's working day, Monday, which will fall on a Tuesday (in the country of destination) thus, you can start counting your delivery timeline from Tuesday. If you still do not see the package in your account after 2 business days, please submit an inquiry to us. Provide us with your merchant invoice, proof of delivery and trace back your package for you! All durations specified do not include the time taken to purchase and receive the items at the respective country’s warehouse. We hope this clarifies your questions on the tracking process and ease your concerns on international shopping and shipping with us! Happy global shopping with vPOST!